Ohio requires every driver involved in a crash to stop and remain at the scene. This is true even for drivers who do not cause wrecks. Committing a hit and run violation can result in serious jail time and a mandatory license suspension, so understanding the rules and consequences is essential. Ohio treats leaving the scene of a traffic accident as a serious offense. Even the victim in a traffic accident can be charged with the offense that state statutes call stopping after an accident if he or she takes off after a crash without first speaking with police. As a Columbus Ohio traffic defense attorney, here is what Colin Maher of The Maher Law Firm tells drivers they must know. Hit and run collisions go by many names. The main state statute, section 4549.02 of the Ohio Revised Code (O.R.C. ), simply calls the offense failure to stop after an accident. You will often hear and read the terms “hit-skip,” “leaving the scene,” and “fleeing the scene.” Regardless of what it is called, police, prosecutors, and judges treat a hit-and-run as a serious offense. In other words, there is no difference between hit and skip and hit and run. Both terms will be used. Ohio’s hit and run laws apply to crashes on public roads and highways as well as on private property. If the accident occurs on a public road or highway, the person must remain at the scene until certain information is exchanged. If the accident occurs on private property, the person must stop and exchange certain information upon request of any person or report it to the police within 24 hours. People involved in traffic accidents must share their name, address, and vehicle registration information. If they do not own the vehicle, they must share the name and address of the owner as well as the registration number for the vehicle involved. If available, the operator must also share their driver’s license. Should you hit a parked vehicle, you must wait for the other driver to return or leave a note that includes the information you would give to police and information on how to contact you. Never assume you can just drive off without being identified. Eyewitnesses may exist, and many lots and garages are monitored by security cameras. If you are involved in an accident causing property damage, you must make reasonable attempts to identify the owner of the property and share your information. If after a reasonable search the owner cannot be found, you must contact the police to convey the required information. In addition to O.R.C. 4549.02. which covers crashes on public roads and highways, Ohio also has laws that cover drivers’ responsibilities following collisions on private property (O.R.C. 4549.021) and collisions with buildings or other structures (O.R.C. 4549.03). Share with police their name, address, vehicle registration number, and proof of insurance. These rules are largely waived for drivers who collide with unoccupied vehicles in parking lots. 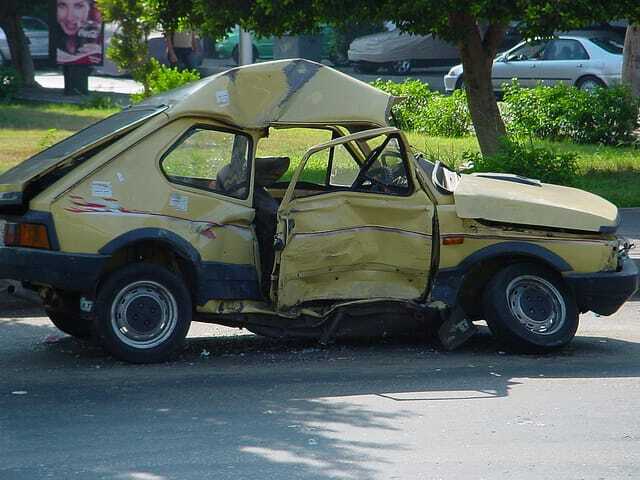 In such circumstances, however, the at-fault driver is required by law to leave a note on the damaged vehicle so its owner will know whom to contact to sort out insurance claims. Failing to leave a note exposes the at-fault driver to hit-and-skip penalties. It also worth noting that uninsured drivers face automatic license suspensions. Police will give drivers time to produce proof of coverage, but a suspension will take effect if the policy was not in effect when the crash happened. The uninsured driver will not be allowed to reinstate his or her license until insurance is obtained. A final wrinkle in Ohio hit and run laws involves crashes into buildings or structures. O.R.C. 4549.03 requires an at-fault driver to try to find the owner or manager of the building. If that is not possible, the at-fault driver has a legal duty to self-report the crash to local law enforcement within 24 hours of the accident. This is not a legal requirement, but calling your own insurance company as soon as possible after a crash is a smart idea. Even if you are at fault, getting your own insurer involved early helps you by prompting the company’s investigators and representatives to begin working on a civil defense against claims and lawsuits. A hit and skip in Ohio is not always a felony, but it can be. Leaving the scene of a crash into a building is prosecuted as a misdemeanor of the first degree. The maximum penalties for such an offense are up to 180 days in jail, fines up to $1,000, restitution, and court fees. When only vehicle damage results from a hit and run on private property or a public road, the offense is also prosecuted as a first-degree misdemeanor. Penalties escalate quickly when a hit-skip accident injures or kills people. The following table lists the penalties for committing a serious hit and run violation. To convict you of a hit and run after an accident, a prosecutor must prove that you were the person driving and that you did not speak with police, exchange the required information, or leave a note on an unoccupied vehicle. Proof beyond a reasonable doubt must also show that you knew or should have known that you crashed into another vehicle, person, or property. Physical evidence is often lacking in hit and run cases, and witness accounts are often unreliable. Hiring an experienced Columbus Ohio traffic and criminal defense attorney after you get charged with fleeing an accident scene always makes sense. If you need help with a hit and run case in Columbus Ohio, contact The Maher Law Firm to request a free consultation. Colin Maher of The Maher Law Firm has defended drivers in Columbus and throughout Franklin County for many years. To have a free, no-pressure consultation, call him at (614) 205-2208 or connect with Colin online.